Higher rates are coming back to America. 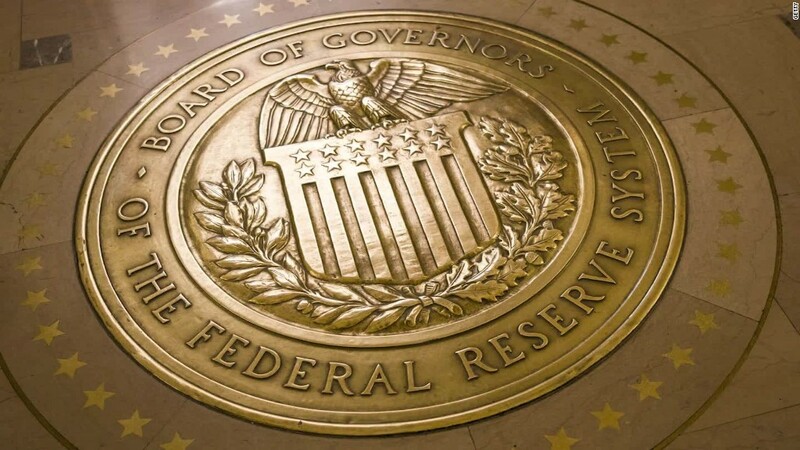 The Federal Reserve is expected to raise its key interest rate on Wednesday. It would be only its second rate hike since 2006. The first was in December 2015. One rate hike won't change the world but the process of rising rates affects millions of Americans. If you have a credit card or savings account, invest in stocks or bonds, want to buy a home or a car, pay attention. The Fed put rates at zero in December 2008 to revive the collapsed housing market during the Great Recession. Now, America is no longer in crisis mode and the economy can bear paying higher rates. A rate hike is a sign that the U.S. economy is improving. Here's how the Fed's rate hikes could affect you. American savers have struggled for years, earning next to nothing at the bank. Now they could be a step closer to light at the end of that tunnel and earn a little more interest on savings account deposits. When the Fed raises short-term rates, banks pay customers higher interest on their deposits. But how much higher and how fast they will go up will depend on whether the Fed will keep raising rates. To start seeing a real difference, it could take one to two years at least, experts say. After all, the Fed is expected to raise by just 0.25% on Wednesday. Officials may say they will raise rates two or three times next year, but that could change very quickly depending on the economy's performance. Last December, the Fed said it would raise rates four times in 2016. But that didn't really happen. This week, if the Fed does raise rates, it will be the first one of the year. Bottom line: if rates go up Wednesday, it's good news for savers but you still need to be patient. Even though the Fed controls short-term interest rates, its decisions partially impact long-term interest rates for mortgages. A rate hike does NOT guarantee that mortgage rates are going up. Last year, the Fed did one rate hike and mortgage rates went down this year. However, the rate hike this time comes at a time when the interest on a 10-year U.S. Treasury bond is going up. And mortgage rates are very closely tied to the 10-year note, the yield on which has risen rapidly by about 0.7 percentage points since the election. The typical fixed rate on a 30-year mortgage is currently around 4.1%. It's risen significantly since the election because President-elect Donald Trump's promises to cut taxes and increase government spending triggered volatility in U.S. bonds. Before the election, a typical 30-year fixed rate mortgage was 3.5%, according to Freddie Mac. So rates have risen quickly but they are still low. During the last economic expansion -- 2001 to 2007 -- mortgage rates hovered between 5% and 7%. In the 1990s, rates were even higher, shifting between 7% and 9%. Over time, as the Fed raises rates more, mortgage rates are expected to move up too. Stock markets used to tremble at the mere hint of a Fed rate hike. When the Fed raises rates, that increases borrowing costs for companies, strengthens the dollar and it can cool down spending plans. All those can factors can pinch profits. But Trump's promise to rev up infrastructure spending and lower corporate tax rates has U.S. stock markets at all-time highs. And just about everyone -- 97% of investors -- believes a rate hike is coming Wednesday, so it won't be a shocker. However, if the Fed starts raising rates faster than expected next year, the stock market's glory ride could hit some bumps as borrowing costs rise and the dollar gets stronger. A strong dollar tends to make U.S. products like iPhones more expensive -- and less attractive -- to foreign buyers. All to say: Investors won't be biting their nails on Wednesday unless Fed Chair Janet Yellen indicates rates may rise faster. The President-elect's big spending plans could drive up demand for all types of goods. Higher demand could increase the pace of inflation, which has been very sleepy the last few years and a big reason why wage growth has been low. If inflation gets going, the Fed could raise rates faster to keep up with it. Along with home mortgages, higher rates increase the interest on credit card payments and auto loans. That could cool spenders' appetite. Consumers make up the majority of economic activity in America. Still, rates are historically very low. The Fed has tried to prop up the economy since the Great Recession with super low interest rates. Trump called it a "false economy" during his campaign. In any case, the burden of sparking stronger economic growth is shifting to Trump from the Fed. The central bank's role will diminish as the government action will pick up. Trump promises to rebuild America's roads, bridges and tunnels. But both sides are certainly looking at different crystal balls. Trump is promising 4% annual growth. The Fed is projecting 2% annual growth until 2019.